Henry Cejudo doesn’t plan to ever meet T.J. Dillashaw inside the Octagon again. 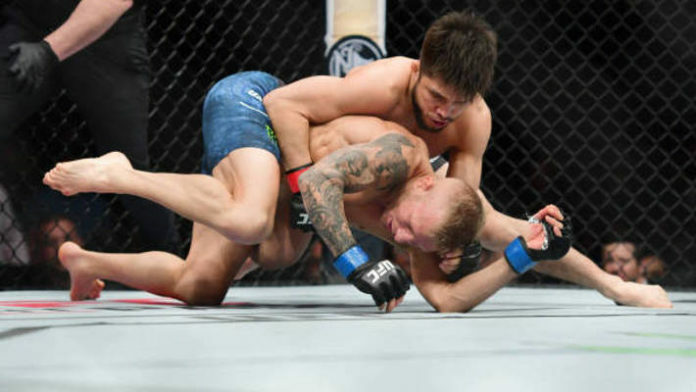 Back in January, Cejudo defended his Ultimate Fighting Championship (UFC) flyweight gold against Dillashaw. In a bid to become a two-division champion, Dillashaw moved down to the 125-pound division for the bout. Dillashaw was stopped in 32 seconds and was suspended for two years by the U.S. Anti-Doping Agency (USADA) due to EPO use. Dillashaw relinquished his bantamweight title before USADA’s decision as the New York State Athletic Commission (NYSAC) handed him a one-year sanction. Cejudo is scheduled to fight Marlon Moraes on June 8 for the vacant UFC bantamweight title. The championship tilt will serve as UFC 238’s main event. ← Crawford: I’m The Best Boxer in The World – Hands Down!